Christmas Jumper day 2016 is upon us and there wasn’t a chance we weren’t going to jump at the opportunity to wear our seasonal best! Christmas Jumper Day is being organised by Save the Children, who are focused on improving children’s lives in the UK and internationally. If you’re wearing a Christmas Jumper today and you haven’t donated, you can head over to the Save the Children website here and donate! We’ve donated! 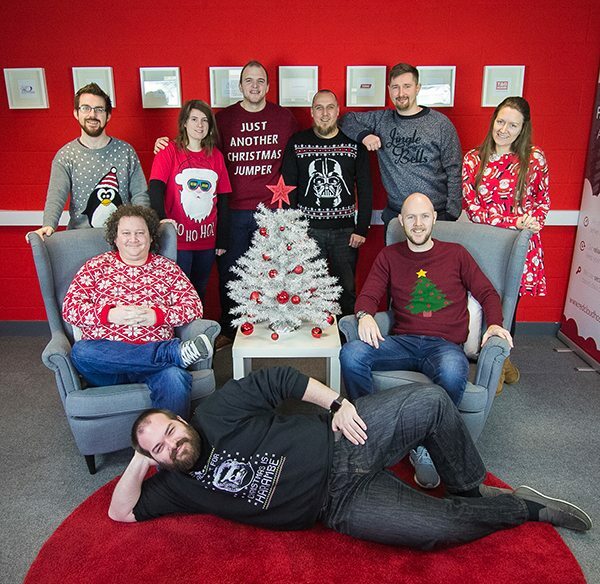 Merry Christmas from everyone at Laser Red!